Join colleagues from across the region for the 6th annual Sustainability Institute for Educators to discover how to integrate sustainability into all aspects of your organization. The Institute will feature a mix of special guest speakers, tools and resources, and hands-on workshops. Hosted by the Webster University School of Education and other partners and held at Mary Institute and St. Louis Country Day School, the institute's $150 registration fee includes speaker fees, breakfast and lunch for all three days. Graduate credit and scholarships are also available. Visit the conference page for more program information and how to register. This year's theme is "Whole School Sustainability: A Framework for Organizational Change." The keynote speaker is Stephanie Barr, M.S., LEED AP BD+C, Research Associate & Projects Manager, Institute for the Built Environment. 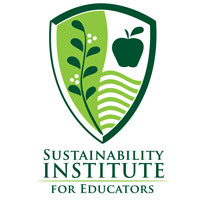 Since 2011 the Sustainability Institute for Educators has helped prepare educators to understand the science, economics, and social implications of our world. This three-day Institute challenges participants to examine current issues in sustainability while considering how people and schools are connected to these issues.